Nykyaikaista kompressoritekniikkaa hyödyntävät Hidros lämpöpumput on ympäristöystävällisiä ja niillä on korkea hyötysuhde. Tehovalikoima kattaa tehoalueen 6 - 658 kW. Korkean hyötysuhteen ilmasta-veteen lämpöpumppujärjestelmät, EVI-kompressorilla. Suunniteltu käytettäväksi esim. lattialämmitysjärjestelmissä. Lämmöntuotto veteen jopa 65º C, toiminta -20ºC lämpötilaan asti. The LRi series of high efficiency heat pumps has been specifically designed for use with radiant floor heating systems or those applications where it is necessary to have maximum efficiency when heating. They have been optimized on heating mode, are able to produce water up to 60°C and can operate down to -20°C ambient temperature. LRi units can produce domestic hot water through the activation of an external 3-way-valve. All models are supplied as standard with a reversing valve for defrost and cold water production in summer. The LZTi series of high efﬁciency heat pumps has been speciﬁcally designed for use with radiant ﬂoor heating systems or those applications where it is necessary to have maximum efﬁciency when heating. They have been optimized on heating mode, are able to produce water up to 65°C and can operate down to -20°C ambient temperature. LZTi units are available in 2 or 4 pipe (SW6) versions. Both versions can produce domestic hot water, in the standard LZTi through the activation of an external 3-way-valve and in the SW6 version by means of a separate heat exchanger and hydraulic circuit for the domestic hot water. All models are supplied as standard with a reversing valve for defrost and cold water production in summer. The LZi series of high efficiency heat pumps has been specifically designed for use with radiant floor heating systems or those applications where it is necessary to have maximum efficiency when heating. They have been optimized on heating mode, are able to produce water up to 65°C and can operate down to -20°C ambient temperature. LZi units are available in 2 pipes, 2+2 pipes and 4 pipes versions. Some versions can produce domestic hot water, in the P2S version through the activation of an external 3-way-valve and in the P4S version by means of a separate heat exchanger and hydraulic circuit for the domestic hot water. The noise is extremely low thanks to the use of a special floating vibration damping system which allows a noise reduction of about 10-12 dB(A). The LHA series of high efficiency heat pumps has been specifically designed for use with radiant floor heating systems or those applications where it is necessary to have maximum efficiency when heating. They have been optimized on heating mode, are able to produce water up to 60°C and can operate down to -20°C ambient temperature. LHA units are available in 2 pipe, 2+2 pipe and 4 pipe versions. Some versions can produce domestic hot water, in the P2S version through the activation of an external 3-way-valve and in the P4S version by means of a separate heat exchanger and hydraulic circuit for the domestic hot water. All versions are supplied with reverse cycle valve used for winter defrost; the HH version is suitable for use in those countries that have support schemes for use of heat pump technology for heating. The RV versions are also able to produce cold water. The HH heating only versions is factory set and locked to operate only in heating mode whilst. The noise is extremely low thanks to the use of a special floating vibration damping system which allows a noise reduction of about 10-12 dB(A) (Optional). High efficiency air source heat pumps with E.V.I. compressors. Heating Capacities from 25 to 200 kw> The LZT series of high efficiency heat pumps has been specifically designed for use with radiant floor heating systems or those applications where it is necessary to have maximum efficiency when heating. They have been optimized on heating mode, are able to produce water up to 65°C and can operate down to -20°C ambient temperature. LZT units are available in 2 pipe, 2+2 pipe and 4 pipe versions. Some versions can produce domestic hot water, in the P2S version through the activation of an external 3-way-valve and in the P4S version by means of a separate heat exchanger and hydraulic circuit for the domestic hot water. All versions are supplied with reverse cycle valve used for winter defrost; the HH version is suitable for use in those countries that have support schemes for use of heat pump technology for heating. The RV versions are also able to produce cold water. The HH heating only versions is factory set and locked to operate only in heating mode whilst. The noise is extremely low thanks to the use of a special floating vibration damping system which allows a noise reduction of about 10-12 dB(A). High Efficiency Air to Water Split System Heat Pumps With E.V.I. Compressors. Heating Capacities from 6 to 100 kw>The air /water high efficiency heat pumps WZT series, in the NN configuration, are particularly suitable for those applications where it is necessary to have maximum efficiency in heating mode and a noise level extremely low and, for this purpose, are provided in two sections, linked together by refrigerant lines, installing the compressor in the internal section. The units have been designed specifically to have the best possible efficiency, they may operate down to ambient temperatures of -20°C and produce hot water up to 65°C. The units are available in 2-pipe (P2S, P2U), version 2 + 2 pipe (P4S), and in version 4 pipe (P4U). High efficiency air to water heat pumps ductables with E.V.I. compressors. Heating Capacities from 25 to 75 kw>The CZT series of high efficiency heat pumps has been specifically designed for use with radiant floor heating systems or those applications where it is necessary to have maximum efficiency when heating. They have been optimized on heating mode, are able to produce water up to 65°C and can operate down to -20°C ambient temperature. The units have been designed for internal installation in plant rooms and are fitted with E.C. fans suitable for connection to ductwork. CZT units are available in 2 pipe, 2+2 pipe and 4 pipe versions. Some versions can produce domestic hot water, in the P2S version through the activation of an external 3-way-valve and in the P4S version by means of a separate heat exchanger and hydraulic circuit for the domestic hot water. All versions are supplied with reverse cycle valve used for winter defrost; the HH version is suitable for use in those countries that have support schemes for use of heat pump technology for heating. The RV versions are also able to produce cold water. The HH heating only versions is factory set and locked to operate only in heating mode whilst. The noise is extremely low thanks to the use of a special floating vibration damping system which allows a noise reduction of about 10-12 dB(A). Määlämpöpumput hyödyntävät lämmönlähdettä niin maaperästä kuin vedestäkin. Sunniteltu käyettäväksi lattialämmityksissa ja muissa vesikiertojärjestelmissä. Pystyvät tuottamaan veteen jopa 55º C lämpötilan. Saatavilla useita versioita sekä laaja valikoima lisävarusteita. WZH heat pumps are particularly suitable for applications that utilise well water or ground source probes. These units have been designed for use with radiant ﬂoor heating systems or those applications where it is necessary to have maximum efﬁciency when heating. They have been optimized on heating mode and are able to produce water up to 55°C. WZH heat pumps are available in several versions. The most simple is a 2 pipe unit that can provide heating only. By ﬁtting an external 3 port valve the unit can provide either heating or domestic hot water. There is also a 4 pipe unit that produces domestic hot water in a separate hydraulic circuit and can generate this irrespective of whether the unit is in heating or cooling mode. All the WZH units are also available in Free Cooling (FC) versions which provide low energy cooling by simply using the cool water that is available from either the ground source probes or the well water. Differing versions and a wide range of accessories, enable the optimal solution to be selected. WHA heat pumps are particularly suitable for applications that utilise ground source probes.These units have been de-signed for use with radiant floorheating systems or those ap-plications where it is necessary to have maximum efficiencywhen heating. They have been optimized on heating mode and are able to produce water up to 60°C.WHA heat pumps are available in several versions. The most simple is a 2 pipe unit that can provide heating only. By fittingan external 3 port valve the unit can provide either heating or domestic hot water. There is also a 4 pipe unit that produces domestic hot water in a separate hydraulic circuit and can generate this irrespective of whether the unit is in heating or cooling mode. All the WHA units are also available in Free Cooling (FC) versions which provide low energy cooling by simply using the cool water that is available from either the ground source probes or the well water.Differing versions and a wide range of accessories, enable the optimal solution to be selected. Korkean hyötysuhteen ilmasta-veteen HYBRIDI -lämpöpumppujärjestelmät, EVI-kompressorilla. The LWZ series of high efﬁciency hybrid heat pumps has been speciﬁcally designed for use with radiant ﬂoor heating systems or those applications where it is necessary to have maximum efﬁciency when heating. They have been optimized on heating mode, are able to produce water up to 65°C and can operate down to -20°C ambient temperature. LWZ units are available in 2 or 4 pipe (SW6) versions. Both versions can produce domestic hot wa-ter, in the standard LWZ through the activation of an external 3-way-valve and in the SW6 version by means of a separate heat exchanger and hydraulic circuit for the domestic hot water. All models are supplied as standard with a reversing valve for defrost and cold water production in summer. 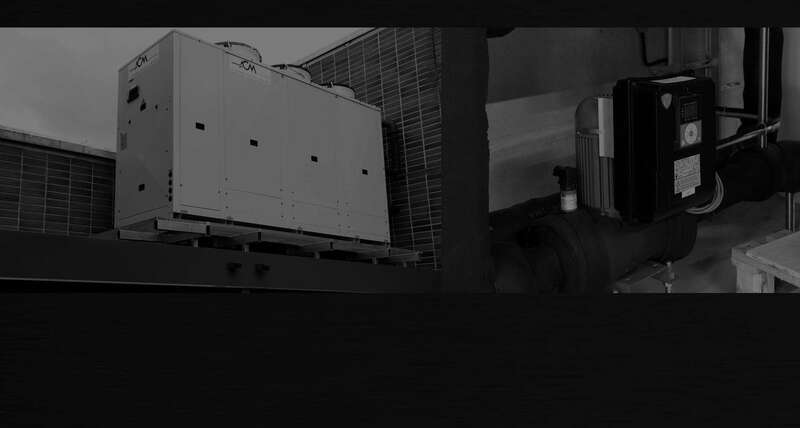 The main feature of LWZ units is that they have TWO heat exchangers on the source side (one air source, ﬁnned coil and the other a water plate type heat exchanger). The unit is primarily an air source heat pump but both source exchangers will work in series at low ambient conditions to maximise the operating efﬁciency of the unit. The COP will be superior to a standard air source heat pump.